Martha Ray Defibaugh, age 74, formerly of Clifton Woods Apartments, Clifton Forge died Thursday, March 21, 2019 at The Woodlands Health and Rehab Center in Clifton Forge. She was born March 19, 1945 in Botetourt County, Virginia to the late Philip Alonzo Defibaugh and Lena Virginia Harris Defibaugh. She was a cook for the Bullpen Restaurant. In addition to her parents, she was preceded in death by a sister, Margaret Firebaugh. She is survived by a sister, Joyce Leftwich of Roanoke; three brothers, Harold Defibaugh and wife Frances of Eagle Rock, James Defibaugh of Covington, and Gene Defibaugh and wife Lois of Salem; an uncle, Carl Luchard; and aunt, Margie Woods; and a number of niece, nephews, and cousins, including her favorite niece, Lena Maxine Defibaugh. A graveside funeral service will be held on Sunday, March 24, 2019 at 1:00 PM in the Iron Gate Community Cemetery, Iron Gate, with Joyce Leftwich officiating. Interment will follow. 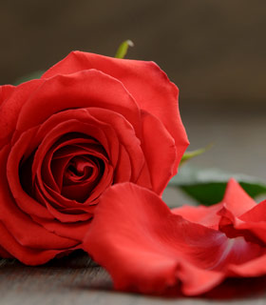 To send flowers to the family of Martha Defibaugh, please visit our Heartfelt Sympathies Store. Provide comfort for the family of Martha Defibaugh by sending flowers.